The weather is hot and humid and I have been having ice cream almost everyday. 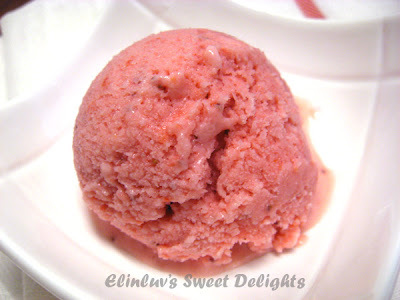 Too much of store bought not good for me ( too sweet and too rich ) so I decided to make my own healthy ice cream. Strawberries are in season now especially those imported ones. 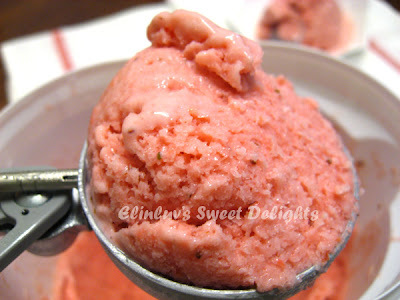 The local ones are smaller in size and sour and since I am making yogurt ice cream , I prefer the sweeter ones. Saw some nice ones in Jusco and bought a tub back to make yogurt ice cream. 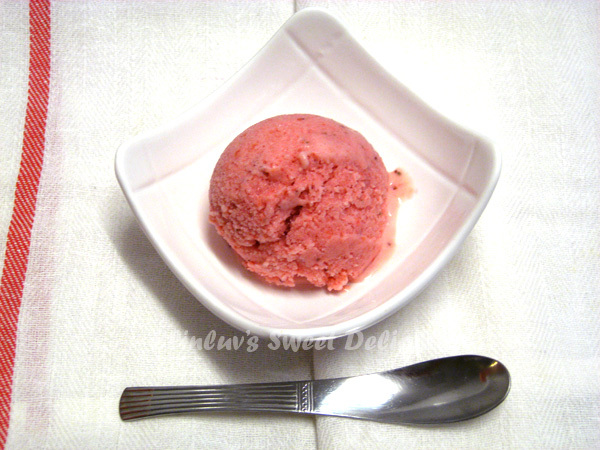 To make this ice cream , it is best to use Greek yogurt . I still haven't found the right ice cream maker that is within my budget and that comes with a compressor :p so it is back to manual ,using my food proccessor to churn the mixture ...in and out of the freezer , at least 3-4 times. 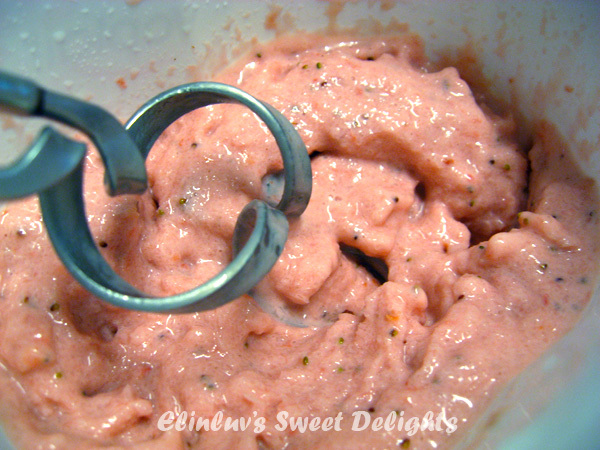 I slept through the night so skipped the process..thus my yogurt ice cream was a bit grainy instead of a smooth texture. That is the only tedious thing when making ice cream without the ice cream maker. This is a great recipe which I took from Christine's blog. Healthy yogurt ice cream and strawberry flavored... I love it ! 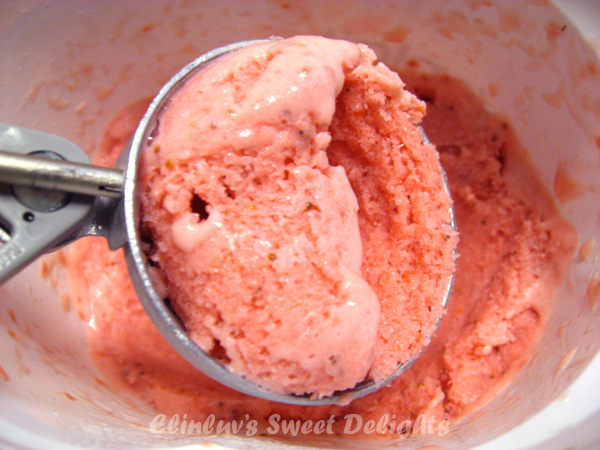 Christine shared on her blog that it is best to use Greek Yogurt for yogurt ice cream. It is much thicker ,smoother and creamier and the ice cream turned out really good and satisfying. Great for making yogurt ice cream. You can eat as much as you like and not feel guilty :) Rich in protein, calcium and vitamins. so it would be advisable to make them in batches. for it is blueberries season too ! Lots of them in Jusco ! yay ! Puree the berries and their liquid with a standard or immersion blender. You can puree it until completely smooth and strain out some or all of the seeds by pressing the mixture through a mesh sieve. Or you can leave it slightly chunky an omit straining it. After draining the berries, stir in the yogurt and honey and combine well. Adjust the amount of honey to your personal liking. Chill thoroughly, then freeze in your ice cream maker according to the manufacturer's instructions. Hi Elin-just passing thru via foodbuzz...love your stawberry frozen yoghurt ice cream! Yumm! Yum! I love frozen yogurt and this sounds so yummy! It's very cold here. Hope I can make it again when the summer comes. Yogurt ice-cream! How irresistible but very expensive. haha.... Homemade is much cheaper & healthier.lol. 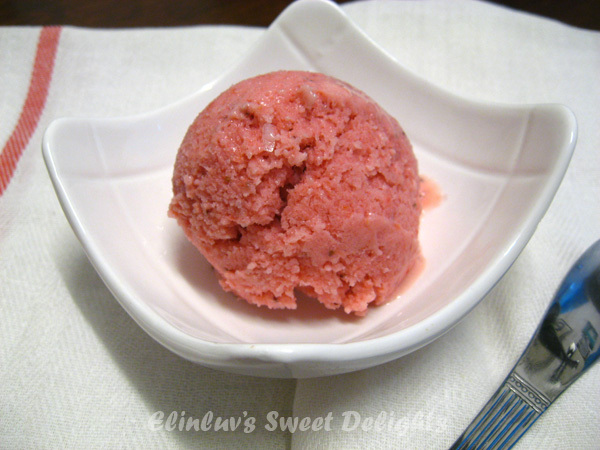 These strawberry frozen treat is amazing ! Love your ice cream love entry. Thanks for sharing! Having to freeze the bowl beforehand can take some of the spontaneity out of making ice cream, but the manufacturer recommends keeping the bowl in the back of your freezer when not in use, so it's always ready.